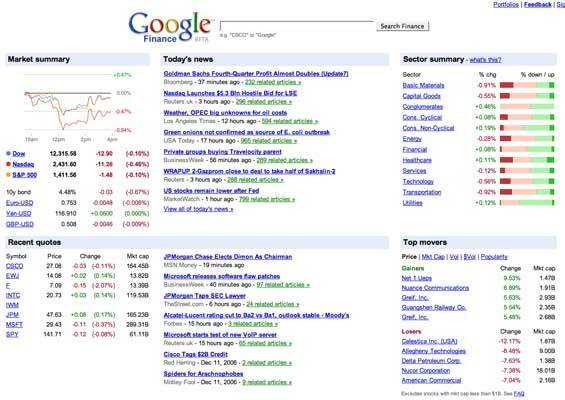 As anticipated, Google Finance launched a fairly extensive redesign and feature changes today. There is much more information included on the home page v. the old layout. Comparison charts can now be created for multiple stocks. Top stocks can be sorted by market cap, price, search popularity, etc. Google has also added in 40 years of stock market data, and created new import tools for those millions of Yahoo Finance and other sites that might like to switch. Plus, they have a funny video.